Play the System that Started it All! Remember your first Goomba stomp? 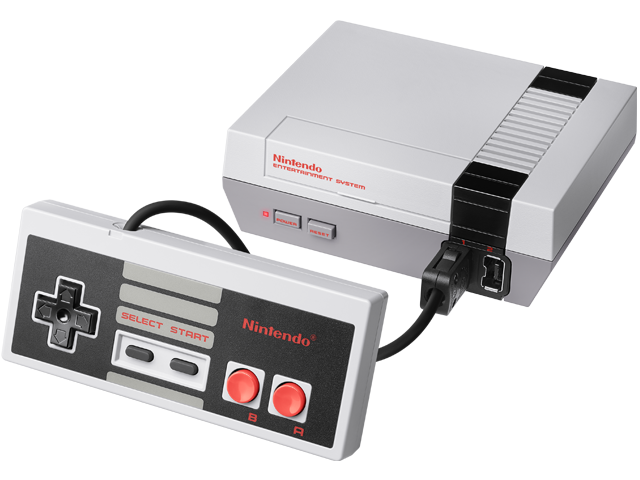 The NES Classic Edition system is a miniaturized version of the groundbreaking NES, originally released in 1985. Just plug the NES Classic Edition into your TV, pick up that gray controller, and rediscover the joy of NES games. The NES Classic Edition is now available as an Authentic Nintendo Refurbished set only from Nintendo, and it comes with our standard one year warranty. Although it may have minor cosmetic blemishes, it is guaranteed to be fully functional. We think you will find the standards for Authentic Nintendo Refurbished Products are VERY high. For a complete list of included games please visit the NES Classic Edition site.